If a sewage backup takes place in your home or business, it is crucial to both your property and your health to reach out for professional sewage cleanup services the moment the incident occurs. 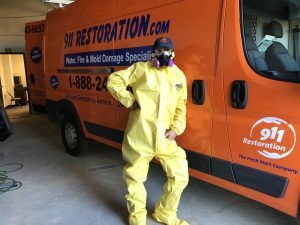 The IICRC certified specialists at 911 Restoration of Northern Virginia understand that quick sewage restoration services are necessary to make a full recovery and get rid of that foul odor. To provide customers with the best services possible, technicians will arrive within 45 minutes of learning about any sewage emergency, enabling us to begin restoration procedures immediately. On top our ability to arrive quickly on the scene, repair techs are also available 24/7/365 to assist you no matter what time you call, day or night. They will be prepared to implement same-day services to remediate any sewage water damage issues. We use the latest sewage cleanup and drying technology on every job, so that property is left clean and smelling fresh once we are finished with it. The technicians at 911 Restoration of Northern Virginia wants to be there to help you when you need it most. So, if you live in Stafford, Spotsylvania, Woodbridge, or anywhere else in Northern Virginia, call 911 Restoration for fast sewage restoration services, and the repair techs will give you the Fresh Start you deserve! When a sewage backup situation arises in your residential or commercial property if could mean displacement for you and your family or the closure of your business until all the repairs are made. The repair techs want to get you back into your property as soon as possible, enabling you to move on from the sewage disaster and resume your everyday life. Along with providing sewage cleanup services, we want to offer advice to property owners on how to avoid sewage backups from happening in the first place. By having a plumber come annually to inspect your sewage backflow valve preventer, you will know it won’t fail when you need it the most. You should also have your sump pumps checked to make sure that they are working correctly before the rainy season hits. Never flush anything down the toilet that you know may cause a clog, especially if you have a septic tank. These items include paper towels, diapers, baby wipes, fabric, or any other large debris. Remove any roots that may prevent the flow of water from going away from the home or business and into the plumbing system. Roots can also break pipes and cause a burst. 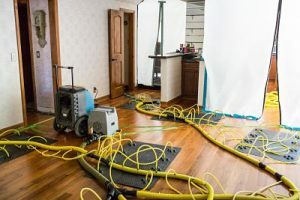 These are some of the most typical causes of sewage water damage and knowing how to prevent these issues from happening can save you from having to deal with a big mess. However, even the most attentive property owners may experience a sewage spill at one time or another. When a backup occurs in your home or business, you can call us to initiate sewage cleanup procedures that will leave your property looking and smelling fresh and clean. Sewage water damage may cause many different problems in your property after it overflows into your home or business, including causing mold, rot, and odor issues. No one is ever prepared to handle a sewage backup, but no matter how or why it happens it must be remediated quickly, or else you run the risk of additional losses. You should never attempt to cleanup sewage on your own because the risk of the wastewater affecting your health is dangerous. The technicians in Northern Virginia are prepared around the clock to handle any sewage-related problem you may be experiencing. It is crucial to get the waste out of your property immediately, so you don’t run the risk of introducing yourself or your loved ones to the bacteria and toxins that fill the black water. Our specialists know that these are looming issues, which is why we administer services immediately to take care of your property efficiently and in a careful manner. 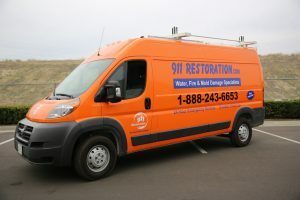 If your home or office is affected by sewage water damage, contact 911 Restoration of Northern Virginia right away and let us turn this disaster into a Fresh Start!